Sheryl Sandberg. Can a like-attack really make a difference? This is the impression left by the words on Wednesday of Facebook COO Sheryl Sandberg. As the Guardian reports, Sandberg was at the World Economic Forum in Davos, Switzerland, when she made some observations about fighting Isis and similarly dangerous groups. She gave the example of a neo-Nazi party’s Facebook page. She described how people with good hearts went onto the page and offered positivity — a “like-attack,” as she called it — rather than the destructive hate speech. 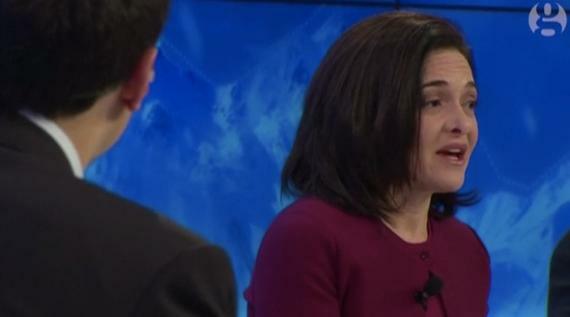 Clearly, Sandberg’s intentions are good. However, even the perception that something as inconsequential as a “like-attack” can truly have a deep effect might trouble some. Terrorist activity on social networks is a problem that’s finally being officially recognized by tech companies. However, there seems to be little agreement between the tech world and the government about what should be done. Tech CEOs claim to be guarding their privacy rules — though some seem more flexible about those than others. Apple CEO Tim Cook, for example, has been a staunch opponent of a so-called backdoor that the government could use to snoop on certain activity. Earlier this month, executives from Apple, Microsoft and, indeed, Facebook met with government officials to discuss further action that might be taken. I suspect that action may be clandestine. It’s not as if either the government or tech companies are likely to announce that, yes indeed, they’re taking more aggressive online action against Isis. It’s not as if ISIS is entirely overt either about which Facebook accounts are promulgators of its cause. They’re there, though. Which is why the mere idea of a “like-attack” might seem painfully inconsequential. Positive words might help the status of relationships. When it comes to terrorist groups, rather more aggressive and covert means might be called for.